Jordin Tootoo doesn’t watch much hockey anymore — but reflecting on his storied career as the first Inuk to play in the NHL, he’s reminded of how it saved him. Jordin Tootoo doesn't watch much hockey anymore, but reflecting on his storied career as the first Inuk to play in the NHL, he's reminded of how it saved him. "If it wasn't for the game of hockey, I don't think I would've stood a chance," Tootoo told Unreserved host Rosanna Deerchild. After 13 seasons in the NHL, the 36-year-old retired in October, vowing to give back to Indigenous communities in Canada. "[I want] to give back to our Indigenous population, our Indigenous communities to show them that there is light at the end of the tunnel," Tootoo said. Tootoo, raised in Rankin Inlet, Nunavut, started skating on Williamson Lake in the community at three years old. He didn't play organized hockey until he was 13 — but despite that, he and his older brother, Terence, were well on their way to playing professional hockey. The brothers played for the Opaskwayak Cree Nation Blizzard together in northern Manitoba before Jordin made the move to Brandon to play for the WHL's Wheat Kings. At 21, Terence became the first Inuk to play professional hockey, playing for the ECHL's Roanoke Express. Jordin was on his way, too — playing out two more seasons in Brandon after being drafted by the NHL's Nashville Predators. He bottled that despair, left it all out on the ice and racked up his best statistical season with Brandon. That following year, he cracked the Predators roster and represented Canada at the World Junior Hockey Championships, winning silver. "When [Predators GM] David Poile called me into his office at the end of training camp to congratulate me [for making the team], I had a few tears," Tootoo said. "I automatically thought of my brother." He had gone all the way. Little did Tootoo know, his toughest battle would be ahead of him. Alcohol was available in the Tootoo home, and Jordin experimented with it at as early as 14 years old. But it didn't become a major problem until after his brother's death. "It just intensified and got worse and came to a point where it was either my career, or eventually be six feet under," Tootoo said. In 2010, he was approached by the Predators head coach, Barry Trotz, and general manager Poile about his drinking problem. They told him they cared about Jordin the person, not Jordin the hockey player, and wanted him to get help. He was in denial. "I grew up in a household where no man shows weakness or cries. I came to a point where it just came crashing down. I admitted I had a problem and showed weakness … it was the best opportunity, best gift that was ever given to me at that age." Soon after, Tootoo voluntarily entered the NHL's substance abuse program. He's been sober ever since. But Tootoo's eight years sober haven't been easy. "Trust me, it's a grind. I didn't realize how many people I affected through all my drinking days," he said. But he's now happy with his wife, Jennifer, and their two kids, who he calls his "Stanley Cups." On Oct. 19, 2018 — just a little over 15 years since his NHL debut — Tootoo called it a career. It was only recently that Tootoo realized the impact he had on Indigenous youth in Canada. About four years into sobriety, he stopped just living in the moment and took time to reflect on the impact he had. 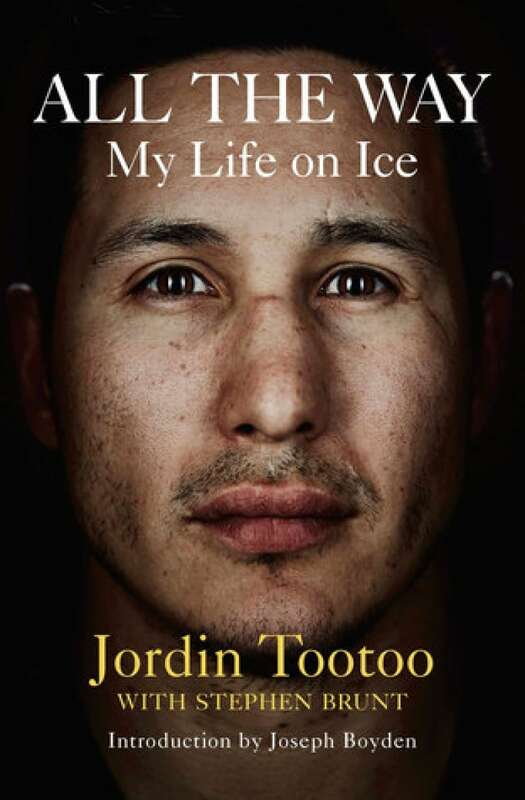 Tootoo's book, "All the Way: My Life on Ice," is a raw memoir of his life. "With clarity and [being] content in my own skin, I was able to sit back and re-evaluate everything and kind of have a better understanding of the role model that I am amongst our people," he said. Since his retirement, he's spent time travelling all around Canada to visit communities to share his story. He had shared it in book form — he co-wrote his book, All the Way: My Life on Ice with Stephen Brunt — but this time, he wants to be face-to-face with communities. 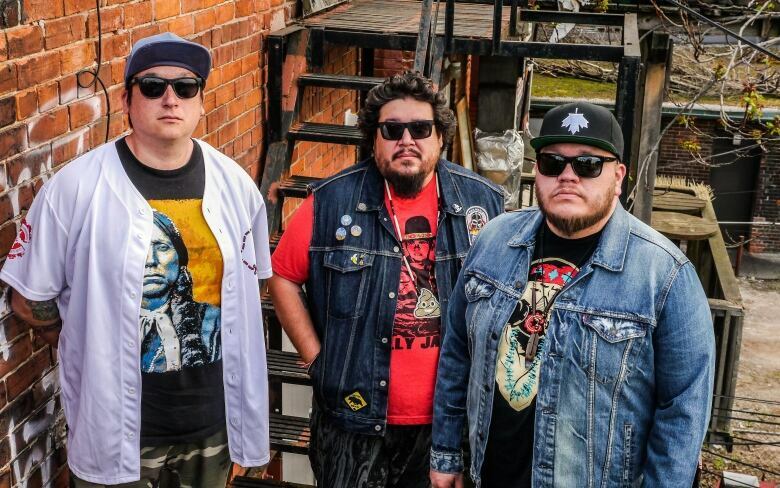 So far, he's made stops in Lloydminster, Saskatoon, Nain, Natuashish and Sheshatshiu Innu First Nation. He also plans to play in the Terence Tootoo Memorial tournament in Rankin Inlet next month. In his travels, he shares his life story — and life lessons on everything from substance abuse to mental health to supporting tomorrow's youth. "It's not about drugs or alcohol — it's the absence of self-worth," he said. "Once you recognize that through hard work, connection and determination, you're able to get that [self-worth] back by peeling back the layers of trauma. "It's hard, but it's rewarding."